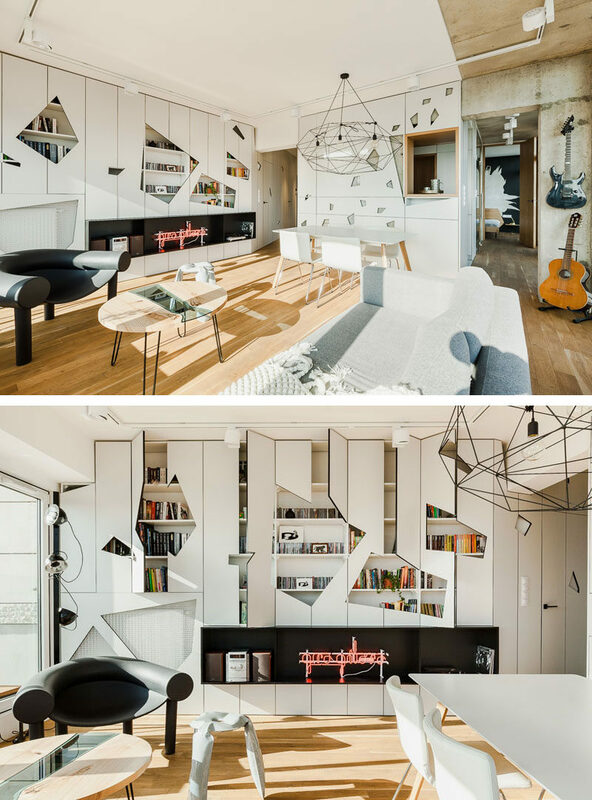 Design firm Mili Mlodzi Ludzie have recently completed the interiors for this apartment in Poznan, Poland, and as part of the design of the living room and dining area, they created a wall of cabinets that have geometric cut-outs in the doors. Some of the cut-outs allow for direct access to whatever is stored within the cabinets, and other cut-outs have a mesh protecting the items. 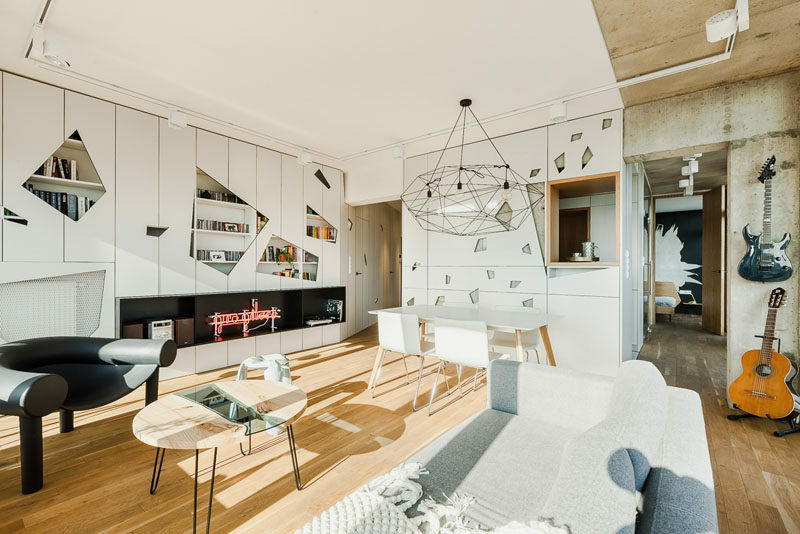 False cabinet doors have also been added to hide a large concrete wall, with the cut-outs showing glimpses of the wall. 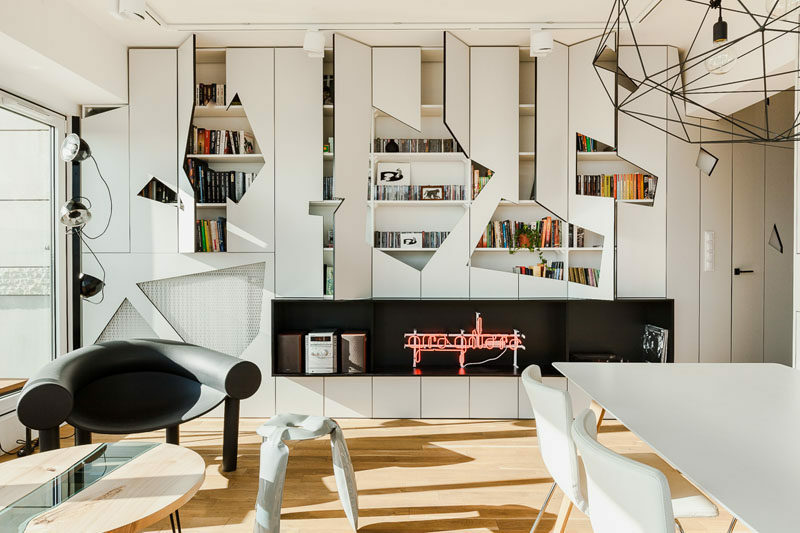 A wood lined shelf acts as a serving window from the kitchen to the dining area.